A garden is a highly creative process, which begin with discovery. Our landscape architect (the designer) must come to understand you, your needs and desires and the physical characteristics of your property. An important part of their job is to help you articulate what your landscape means to you and then apply their experience to making your vision a reality. After you have approved a preliminary concept plan, the designer will prepare detailed drawings and a contract for installation. The landscape architect will “walk you through” the plan and contract so that you understand exactly what you will be getting. Your questions are valued and welcomed. 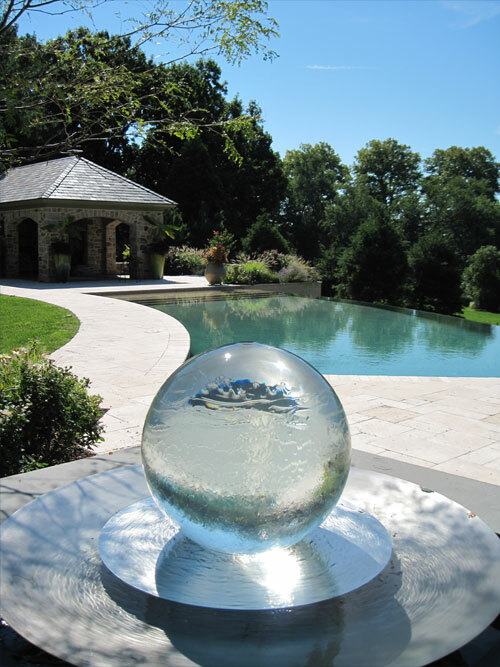 A great strength of Wallace Landscape Associates is that we, as a Mid-Atlantic design and build landscape firm, manage the entire installation process without disconnect. Our landscape architects design and oversee every step of the installation, maintaining vision, intent, budget and schedules. Communication is easy and immediate. Whether yours is a Philadelphia rooftop, a Mainline estate, an Eastern Shore farmhouse or a New Jersey shore house, we have been developing gardens and landscapes of distinction for such properties for over 30 years. Over seasons and over time your garden will change as seasons change, plants grow, and materials weather. With over 30 years experience in creating beautiful gardens, our mission at Wallace is to be there to help you understand and manage the exciting journey that starts with new surroundings for your home. We design the landscape, implement the installation process, make adjustments as necessary and we are there to assist and reassure you for years to come.